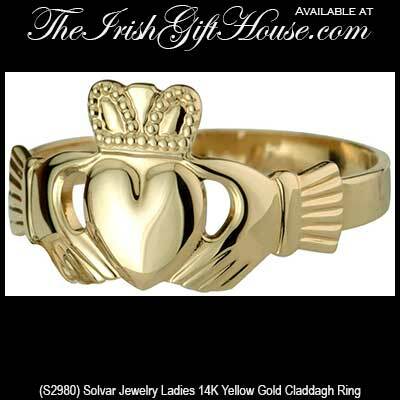 This 14K yellow gold Claddagh ring for women has a puffed heart and a hollow back, (see images) and measures 3/8" tall from the top of the crown to the bottom of the heart. 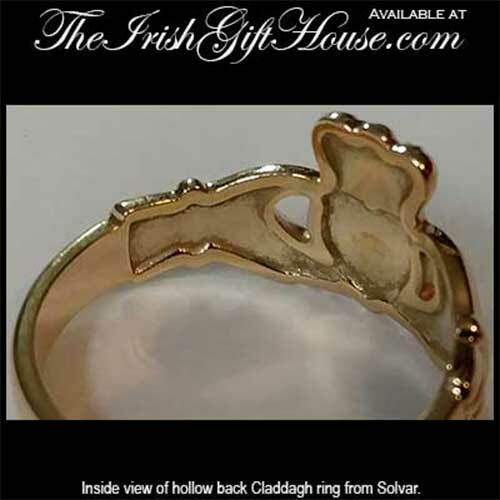 The hollow back Claddagh ring has less gold where it is not necessary, but maintains a solid shank. The result is more ring for less money.